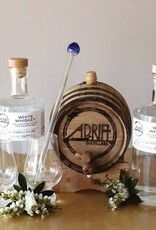 Age your own Adrift Distillers White Whiskey from home with this complete kit. 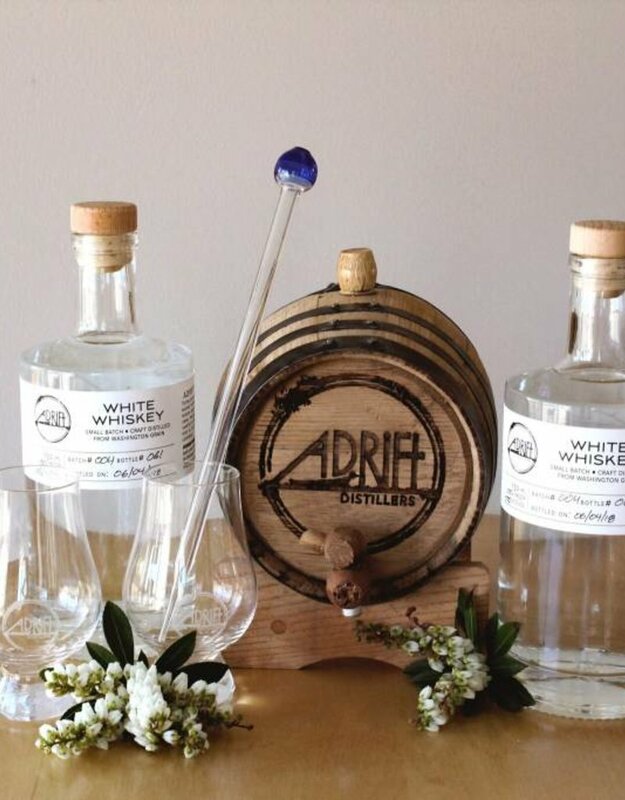 Includes two 750 ml bottles of 112 proof Adrift Distillers White Whiskey, branded Adrift Distillers aging barrel, two engraved Glencairn tasting glasses, and a hand blown glass whiskey thief to taste your spirit directly from the barrel. Please note, we cannot ship spirits to the following states: Alabama, Arkansas, Delaware, Idaho, Iowa, Kentucky, Maine, Michigan, Mississippi, Montana, New Hampshire, North Carolina, North Dakota, Ohio, Oklahoma, Oregon, Pennsylvania, Rhode Island, South Dakota, Utah, Vermont, Virginia, West Virginia, and Wyoming.